Our play practice has commenced. Here is the schedule of times and dates. 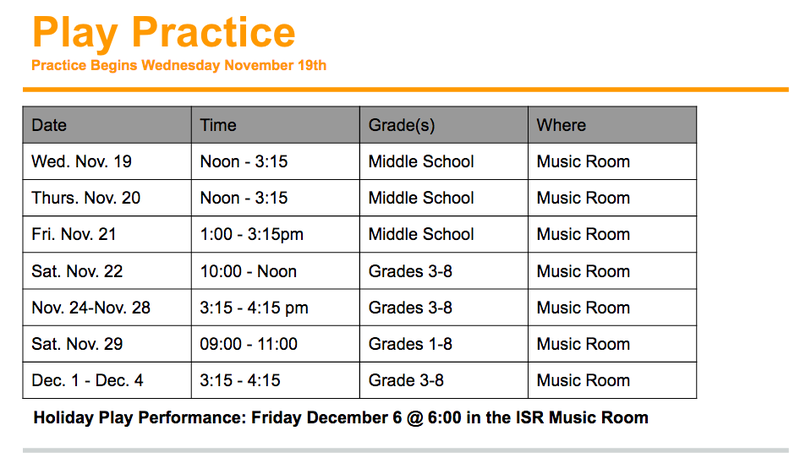 Remember that not all practices are full school.